Be still, my heart. Epic Games vice president Mark Rein has posted the words on Twitter I've been waiting years for: Unreal Tournament is coming back. We don't know what form it will take, but Rein followed up his original tweet "I love Unreal Tournament, so excited for the comeback" with a confirmation—"Yes UT coming back! "—and a link to Epic's Unreal Engine Twitch account , where the future of Unreal Tournament will be revealed Thursday, May 8 at 2PM EST. Since Epic plans to unveil its plans for Unreal Tournament on the Unreal Engine Twitch channel, and not the Epic Games channel , we can make a few guesses about the game. It may be a showpiece for Unreal Engine 4 in the way Gears of War was for Unreal Engine 3. It may simply be a tech demo for Unreal Engine 4 and not a full game. Wouldn't that be a drag. The future of Unreal Tournament could be on consoles or—dare I say it—mobile. 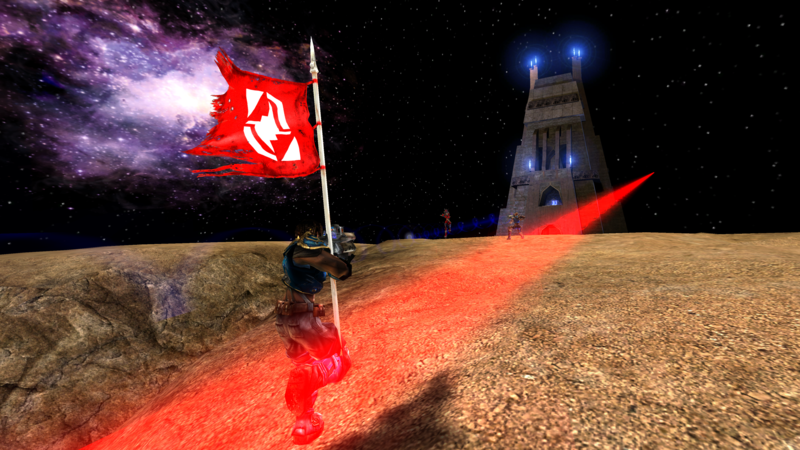 Don't make us play Unreal Tournament on iPhones, Epic. Don't you dare. Give us a new game on PC, whether it's a Quake Live-style update of classic UT or a Unreal Engine 4 juggernaut. In the meantime, we'll be over here playing UT2004 at 4K . There are still busy servers out there, and the game looks pretty damn good a decade later.